We help make life a little simpler and can save you money in the process. The Home Maintenance Organization can simplify all areas of your home ownership. 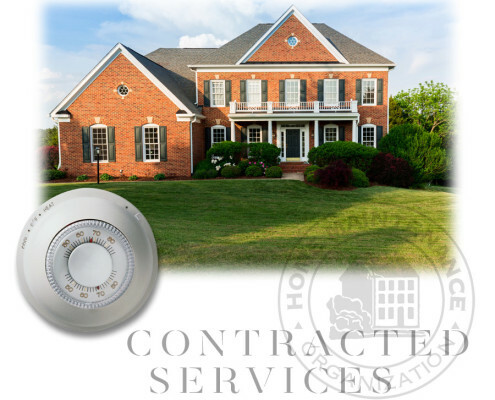 In addition the the regular maintenance and upkeep, you also need to take care of contracted services inside and out. Sometimes it’s hard to keep track of who you pay to do everything. Company A picks up the trash, Company B plows the driveway, Company C pumps the septic system, and Company D does who knows what. At the Home Maintenance Organization, we’ve made it simple – we handle everything with one simple maintenance contract. No more keeping track of a drawer full of bills, no more price comparison shopping to find the most cost effective providers, and no more doing it yourself. Our years of experience in the home services industry has given us the know how on where to get the best deals as well as the best products. The Home Maintenance Organization can find the best prices and contract your trash pick-up, septic service, oil or gas deliveries, firewood, chimney sweeping, and other winter warming needs. We have the ability to pool our work agreements with subcontractors. This buying power enables us to find the best in the business while observing some of strictest criteria in the industry. We conduct extensive background checks and only use vendors that are fully bonded in accordance with state and local statutes. Our scale also gives us the leverage to negotiate the best deals, realizing significant savings which we then pass on to you. But more importantly, all contact comes through us. That means that you only receive one clearly itemized invoice and that any questions or problems you have can be solved with one phone call to HMO. Someone is on-call 24 hours a day, which means that you’ll always speak to a live person on the other end of the line, whether it’s an HMO team member during regular business hours or a live answering service during off hours. You just make one call, tell us what you need and when you need it, and let us handle the details. You can even e-mail us to initiate work orders.